which ranged from about 1915 through her 80th birthday in 1949.
and other institutions. Tracking down these paintings has proven quite challenging. George Washington University, opening May 20th, 1931. 1. "The Old Yucca" found ! 2. "Grass Grown Plains" found ! 12. "Desert View from the Mountain Tops"
14. "Sunlit Hills" found ! 15. "The Unnamed Temple" (Grand Canyon) found ! 16. "View from the Head of Bright Angel Trail" (Grand Canyon) found ! 17. 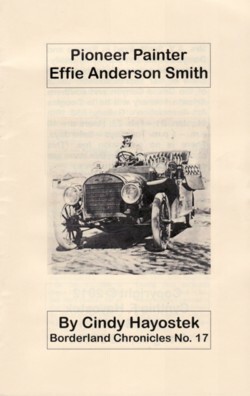 "Looking East from Yavapai Point" (Grand Canyon) found ! 18. "Arizona after the Rain"
19. "Sunset on the Mountain Tops"
20. "Arizona Landscape" found ! These pictures will be on exhibition in this hall for one week. After E.A. 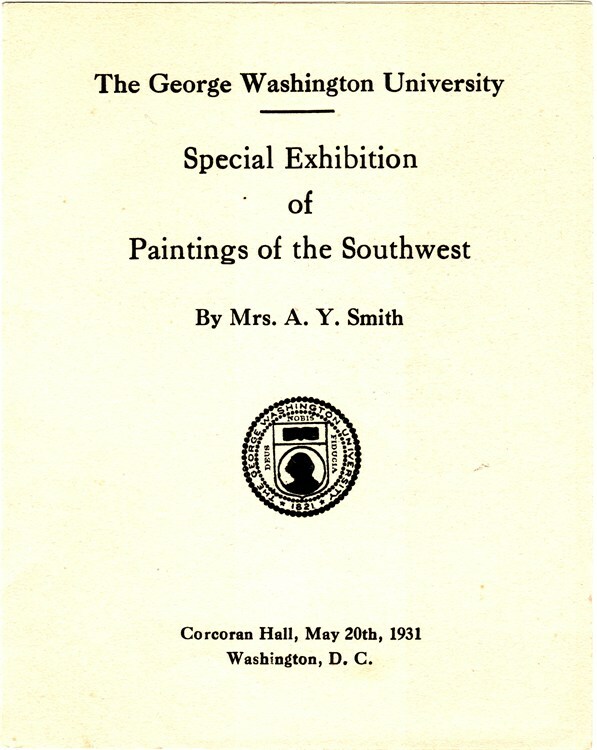 Smith returned from her travels East, most of the paintings from this tour were either sold to collectors or gifted to friends and institutions. HAVE YOU SEEN ANY OF THESE PAINTINGS? to our forthcoming Catalogue raisonné.